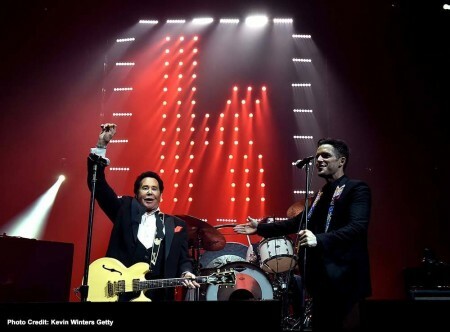 T-Mobile Arena celebrated its grand opening, Thursday, April 6, 2016 with a blowout concert headlined by local legends including The Killers; “Mr. Las Vegas” himself, Wayne Newton; and emerging pop artist Shamir. As the sun lowered on the Vegas Strip, T-Mobile Arena surged to life with light, sound and energy. GRAMMY-nominated rock stars The Killers were on their home turf at T-Mobile Arena, captivating a sold-out crowd. Lead singer Brandon Flowers was joined by fellow Las Vegas-bred bandmates Dave Keuning, Mark Stoermerand, Ronnie Vannucci Jr. 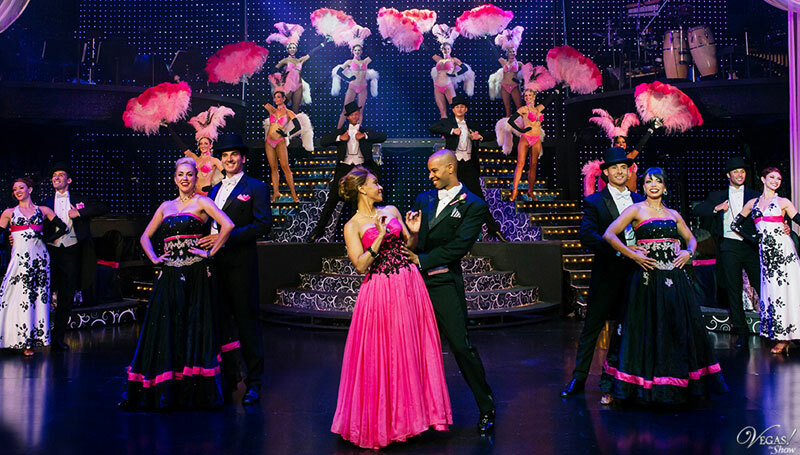 The stars sang hits including “Mr. Brightside,” “Somebody Told Me” and “Read My Mind.” To enhance the performance, a 30-foot megascreen projected the set and incredible video throughout the venue. T-Mobile Arena ensured all guests could take selfies, share the moment via social media thanks to ridiculously fast network speeds from T-Mobile, America’s fastest 4G LTE network, and over 550 Wi-Fi access points integrated throughout the arena. Opening for The Killers was legendary Las Vegas artist Wayne Newton, who belted out some of his greatest hits including “Danke Schoen,” “When the Saints Go Marching In” and “Viva Las Vegas.” Breakout Las Vegas-born pop artist Shamir, lauded for shattering normative gender labels, delivered a true-to-style set infused with soul and raw talent. The evening featured a series of unexpected collaborations, which kicked off with a video introduction from late-night TV host and Las Vegas native Jimmy Kimmel. 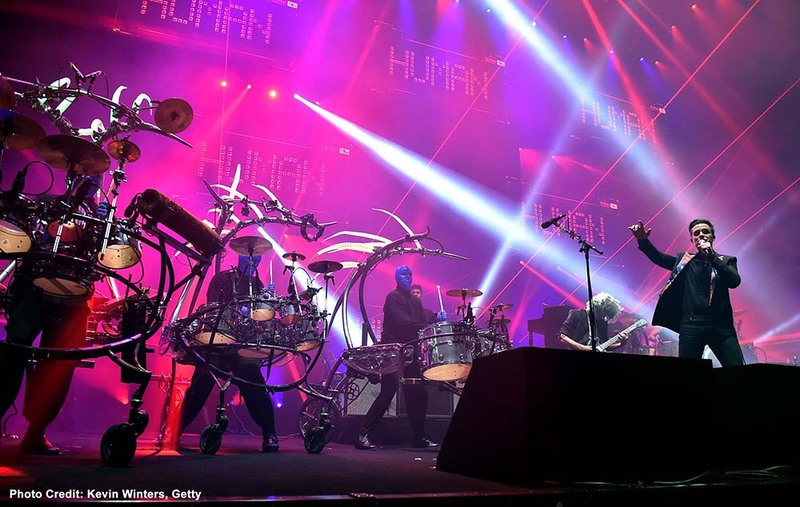 An on-stage cameo by Blue Man Group during The Killers’ performance of “Human” fired up the crowd, as the trio’s dynamic combination of music, comedy and technology helped to provide a truly once-in-a-lifetime spectacle. Visitors partied to dynamic entertainment through the evening when they sipped and sampled T-Mobile Arena’s gourmet drink and food. Anticipating grand opening night, Levy Restaurants brought in nearly 700 pounds of live lobsters, 290 pounds of ahi tuna, nearly a million fluid ounces of draft beer, 484 bottles of Patron plus much more. Delectable fare like a made-to-order Poke Bar and Carvery Cart serving BBQ Pork Banh Mi were readily available for visitors combined with the venue’s signature Pink Highlighter cocktail, offered in blinking magenta souvenir cups that dotted everyone with splashes of colourful light. As visitors exited the building onto Toshiba Plaza, magenta fireworks illuminated the night sky. Earlier in the day, The Killers joined executives from MGM Resorts International, AEG and T-Mobile for an official press conference in Toshiba Plaza. Clark County Commission Chairman Steve Sisolak presented the hometown heroes with a Crystal Key to the Las Vegas Strip and proclaimed April 6, 2016 “The Killers’ Music Appreciation Day.” Brandon Flowers and Ronnie Vannucci accepted the accolades and addressed the crowd of officials, venue partners and executives convened at the plaza, including Jim Murren, Chairman and CEO of MGM Resorts; Dan Beckerman, President and CEO of AEG; Andrew Sherrard, Chief Marketing Officer of T-Mobile; Scott Maccabe, President and CEO of Toshiba; and Mary Beth Scow, Clark County Commissioner. 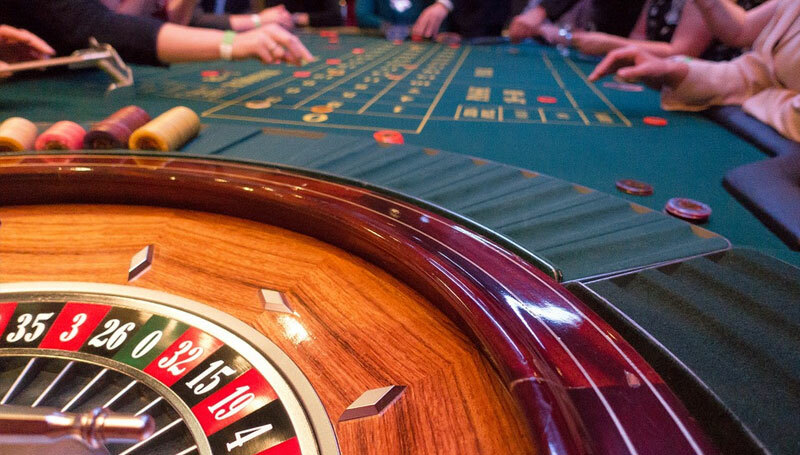 Nearly two years and $375 million were invested in bringing the 20,000-seat, world-class arena to Las Vegas. 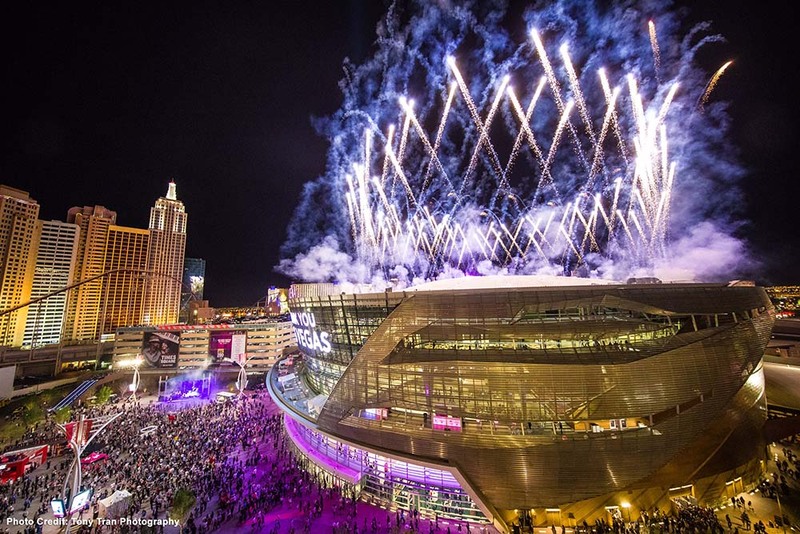 Grand opening celebrations continued throughout the weekend with Friday’s “T-Mobile Arena Opening Celebration Concert” featuring multi-platinum, GRAMMY-nominated artist Nicki Minaj with special guest Ariana Grande. The songstresses kicked off an extensive schedule of more than 70 events booked for T-Mobile Arena’s first season, including the first stop on Guns N’ Roses’ reunion tour, George Strait, Garth Brooks, Billy Joel, UFC 200 and more.